People who eat a lot of red meats (beef, lamb, pork) and processed meats (bacon, sausage, hot dogs, ham) over a long period of time have a higher risk of developing colorectal cancer. 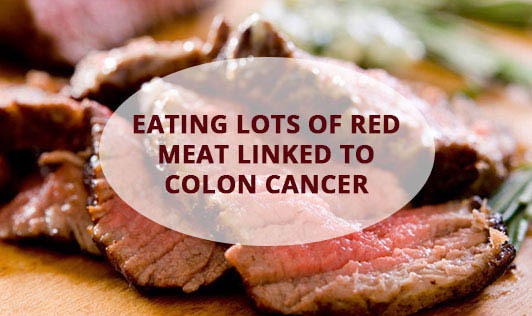 160g or more/day of these meats increases the risk of colorectal cancer. Eating poultry and fish does not have this effect. The possible culprits in the above foods may be the preservatives used, the smoke residue or the method of preparation and the high temperatures employed in cooking. So cut back on red and processed meats to keep the colon healthy. Other steps to lower risk of colon cancer include maintaining healthy body weight, not smoking, getting regular exercise and routine cancer screening.